We are successfully meeting the varied requirements of our clients by providing the best quality range of Non Woven Bag. 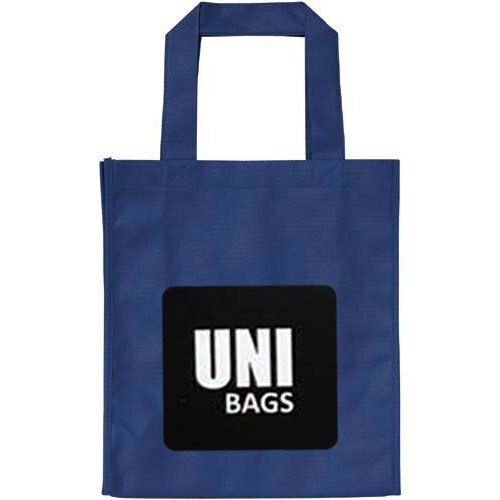 Uni Bags (A Brand of Unikon Enterprises) is one of the leading Manufacturers and Service Provider of Non Woven Bags and Bag Printed Services. We offer these products at most reasonable rates. In their development process, we assure that only top notch basic material is used by our professionals along with ultra-modern tools and machinery.we are manufacturer of D-cut, handle bag, Box bag, String bag, folding bag and U-cut bags. these non woven bags are widely used as shopping bag and carry bag. non woven bags are eco friendly and are available in various colors and sizes. Established in indore in the year 2016, we Uni bags are one of the highly acclaimed Manufacturers, Suppliers and Traders of a vast variety of non woven bags. Our bags are designed and developed at our state-of-the-art infrastructure facility using premium-quality machines and superior quality of raw-materials. They are made in compliance with the prevailing industrial quality standards under the guidance and supervision of industry experts. The presence of dedicated and talented manpower helps us serve our clients in an effective manner. This mode of conducting business has helped us garner a loyal client base over in recent years of operation. We offer an assortment of bags to our clients so that they can take their pick as per their desires. Our bags are widely appreciated for their eye-catching and trendy designs and durability. The raw-materials used in the manufacturing process are sourced from reliable vendors of the market. All our bags are quality-tested by highly experienced auditors to ensure that they are free of even the smallest of defects. Our bags can be availed by clients’ at highly reasonable prices. They do not just meet the storage related needs of the clients, but also prove to be a much sought after fashion accessory.